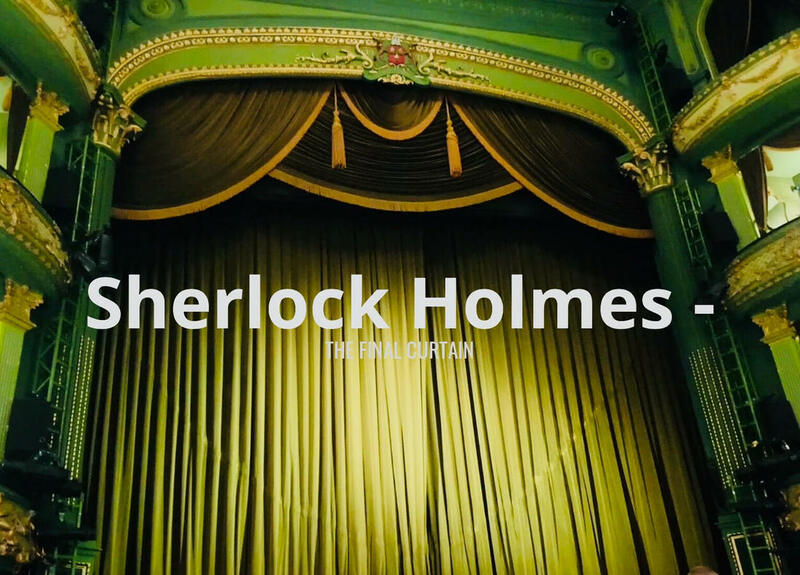 ​When something contains three of my favourite things: Nottingham, Theatre (in this case, Theatre Royal) and SHERLOCK HOLMES, it goes straight to the top of the *excitedly looking forward to* pile! ROBERT POWELL and LIZA GODDARD star in the World Premiere production of ‘SHERLOCK HOLMES: THE FINAL CURTAIN’, directed by David Grindley. 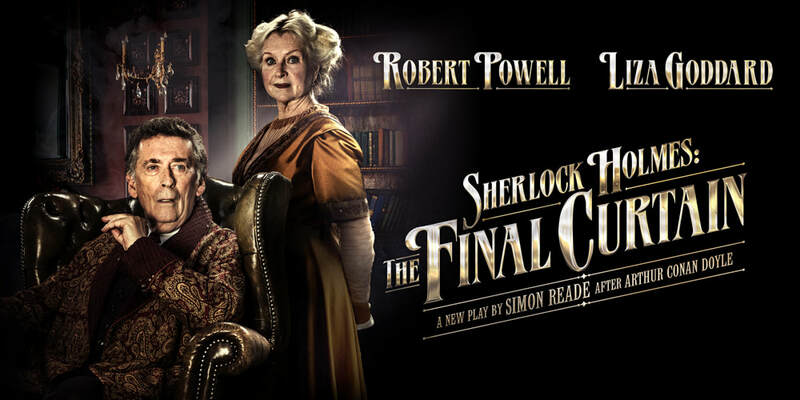 This brand new thriller, ‘The Final Curtain’ embarks on a national tour which opens in Bath and reunites the dream team of Robert Powell and Liza Goddard, following huge acclaim for their performances in Alan Bennett’s ‘Single Spies’, Alan Ayckbourn’s ‘Relatively Speaking’ and Agatha Christie’s ‘Black Coffee’. Robert Powell (who really needs no introduction) plays the world famous detective and Liza Goddard (likewise) plays Mary Watson. Chilling, gripping and filled with unforeseen twists and revelations, this new play has been commissioned by Theatre Royal Bath and written by award-winning dramatist Simon Reade, previously Literary Manager at the Royal Shakespeare Company. The cast also features Roy Sampson as Mycroft Holmes, Timothy Kightley as Dr Watson, Anna O’Grady as Miss Hudson and Lewis Collier as Officer Newman, with all other parts played by Daniel Cech-Lucas, Peter Cadden, Peter Yapp and Louise Templeton. Sir Arthur Conan Doyle’s fictional private detective Sherlock Holmes first appeared in print in 1887 in A Study in Scarlet. His first screen appearance came in 1900 in the film Sherlock Holmes Baffled. Now, the Guinness Book of Records lists Sherlock Holmes as the most portrayed movie character in history with more than 70 actors playing the role in over 200 films, including my favourite Basil Rathbone, but also Jeremy Brett, Robert Downey Jr, Jonny Lee Miller and Sir Ian McKellen. Robert Powell is in good company indeed, but no stranger to making powerful famous characters his own. John Buchan’s Richard Haney obviously springs to mind. I have always maintained that watching a play unfold on stage is one of the purest remaining forms of art. This production looks wonderful and we are looking forward to seeing it on press night! ​If you haven’t been to the theatre for a while, this might be the one to see. The Theatre Royal Nottingham is a very special place and this world premiere production promises to be a very special event indeed! ​Look out for our review. We’ll try our best to relay it to you, but this is something you really should see for yourself!